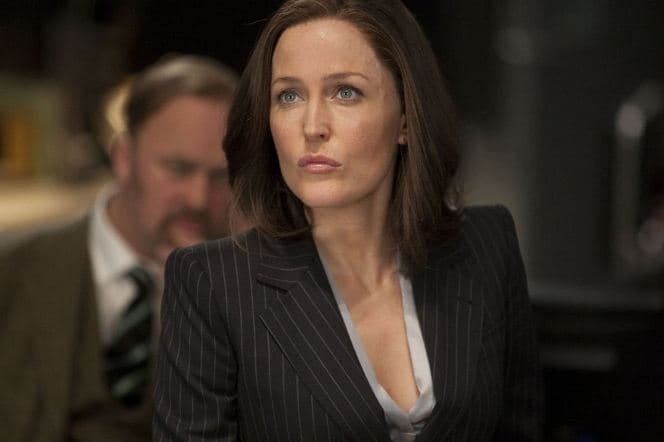 Gillian Anderson is the American actress whose name is frequently associated with the popular series The X Files: the star played the FBI agent Dana Scully, one of the main characters. Gillian appeared in all seasons and earned the love of millions. The X Files brought the actress 22 prestigious awards including the Golden Globe and Emmy Awards. 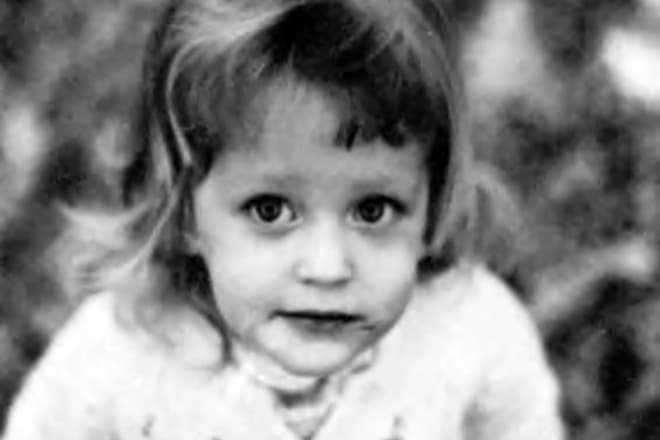 Gillian Anderson was born on August 9, 1968, in the suburbs of Chicago. The family was wealthy: the mother Rosemary was a computer analyst, and the father Edward owned a movie post-production company. Gillian spent her childhood on the road: due to the father’s work and studies, the Andersons had to move often. They lived in Puerto Rico, London, and Grand Rapids (Michigan). Gillian recalls the years in England with nostalgia. When the girl was eleven, the family came back to the United States. The recent relocation and puberty made their impact: Anderson had her hair dyed in different colors, got her nose pierced, and behaved provocatively. As a result, Gillian was on the edge of being expelled from school, even though she was one of the best students in the school for gifted children. The future star got interested in theater at school; at the age of 13, she took the first successful steps in acting and joined the acting club where she played Juliette. Her abilities impressed her teacher so much that she got the invitation from the Grand Rapids Civic Theatre & School of Theatre Arts; later, the young woman entered the Goodman Theatre School at DePaul University where she became a full-fledged actress. Everyone but the parents enjoyed the actress’s talent: they did not notice Gillian’s achievements and stood against their daughter’s career choice. In this context, the family atmosphere was tense; Gillian packed up and ran away from home; she took a part of her parents’ money. Gillian became a theater success at the beginning of her career. In 1991, she received the Theatre World Award for her role in Absent Friends. Later, the actress participated in A Doll’s House, The Philanthropist, and A Streetcar Named Desire. The latter project brought her the nomination for the Laurence Olivier Award. In comparison, her movie debut was mediocre: The Turning was not popular, but it did not prevent the beginning actress from rising to the heights of the world’s cinematography. 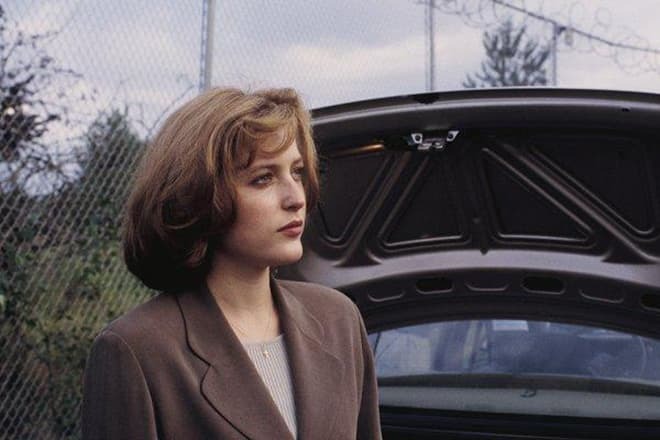 In 1993, the iconic mysterious series The X Files with David Duchovny made Gillian Anderson the star. 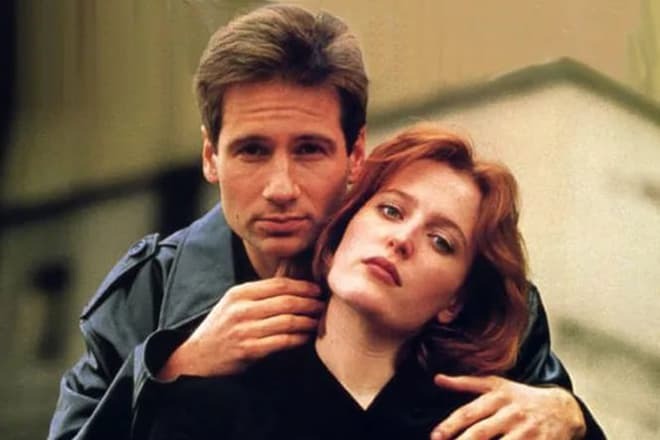 The FBI agents Dana Scully and Fox Mulder turned into the icons of millions of TV viewers; people watched them for nine seasons with bated breath. In 2015, the new season of The X Files was announced; Gillian Anderson and David Duchovny appeared in the new episodes. The premiere took place on January 24, 2016. Simultaneously, Gillian Anderson was busy in other movie projects. In 1997, she starred in the comedy Chicago Cab; in the next year, she appeared in the drama The Mighty. The project The X Files Fight the Future started at the same time; Gillian received $4 million for that work. In 1998, the family comedy Playing by Heart with Angeline Jolie, Dennis Quaid, and Sean Connery also came out. In 2000, Gillian starred in the drama The House of Mirth. The story is set in New York in the early 20th century. The member of the high society, Lily Bart depends on people’s opinions so much that she misses the real love of her life and marries the man she does not like. 2005 brought the new project, the drama Bleak House based on Charles Dickens’s novel. At this time, the audience watched Anderson as the character living in the Victorian epoch. For these roles, Gillian Anderson was nominated for several prestigious awards as the best actress. The same year, Gillian took part in the movie The Mighty Celt; she won the IFTA Award for Best International Actress. In 2006, the star appeared in the exciting thriller The Last King of Scotland. The story is set in Uganda where Idi Amin established the dictatorial regime. Gillian played the main character Sarah Merrit. In a while, Anderson appeared as Pamela Thornton, the agent in the comedy Johnny English Reborn. The comedian Rowan Atkinson starred in the project as well. The same year, BBC started making the drama series Great Expectations with Douglas Booth and Ray Winstone; Anderson was offered the role of Miss Havisham. In 2013, the actress began to work on the series The Fall with Jamie Dornan; from 2014, she participated in the British TV series War and Peace based on Leo Tolstoy’s famous novel and got the role of Anna Pavlovna Scherer, the wealthy hostess. The series Hannibal was also a significant project of that period; the actress played Dr. Bedelia Du Maurier. Gillian Anderson’s personal life has been quite thorny: her relationships were not long. The art director of The X Files Clyde Klotz became the woman’s first husband; the wedding ceremony took place in 1994 in Hawaii. On September 25, 1994, Gillian’s daughter Piper was born. Unfortunately, it could not save the family: in 1997, Clyde and Gillian split up. In 2004, the director Julian Ozanne became the actress’s second husband. Again, this marriage did not last long: in 2006, the couple officially announced they divorced. Gillian’s new boyfriend, some Mark Griffiths, was probably the reason for the break-up. Mark and Gillian did not marry officially, although they had two children, Oscar and Felix. The Hollywood star is famous not only for acting but also for her charity work. Gillian actively supports charity funds; she is the member of PETA, the organization protecting animals’ rights. In 2000, People included Anderson in the 50 Most Beautiful People in the World. In 2008, FHM named the actress number 21 in 100 Sexiest Women. 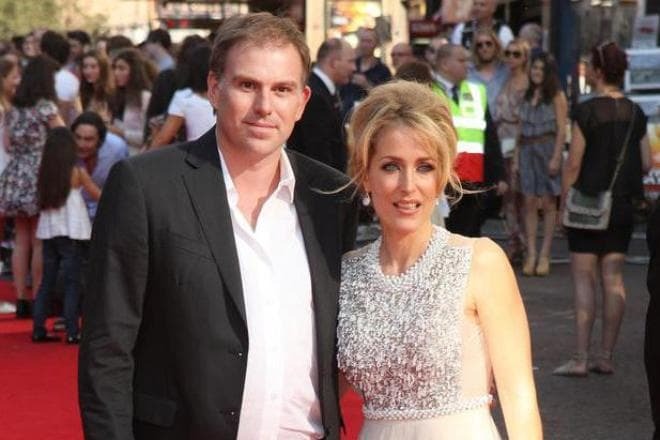 In 2016, the media reported Gillian Anderson had an affair with the British writer Peter Morgan who was nominated for the Academy Award for Best Original Screenplay (the movies The Queen and Frost/Nixon). Neither Gillian nor Peter gave any comments. However, in 2017, reporters took the pictures of the couple having a rest in the Italian town Portofino. According to the western sources, Morgan left his wife who had given birth to his five children for the new passion. In 2017, Gillian Anderson starred in the fantasy American Gods and played the goddess Media. The project’s ratings were high, and the second season followed. Nevertheless, Anderson quitted after the first season because the movie crew changed. Anderson was expected to continue to work on The X Files. At the beginning of 2018, the actress rejected the offer and said that Dana Scully should finally retire. Fans had nothing to do but to seek hope in the words of David Duchovny who had mentioned he could not leave the role of Fox Mulder even though he had tried to do that. Nowadays, the actress pays much attention to charity. Following the example of Pamela Anderson, Pink, Helena Bonham Carter, and other stars, Gillian took part in the anti-fur campaign. The star posed naked for the poster with the slogan “I'd rather be naked than wear fur.” This picture appeared on the actress’s Instagram page. In 2018, the actress supported the Greenpeace initiative to create a natural reserve in Antarctica. 40 show-business stars including Judi Dench, Stephen Fry, Alexander Skarsgård, Helen Mirren, and Vanessa Redgrave, participated in the campaign.